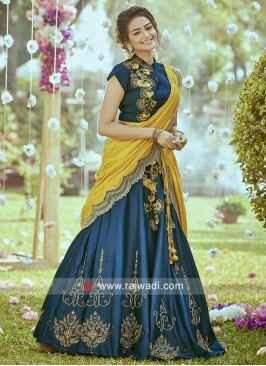 Brocade Lehenga in Mustard Yellow with Silk embroidered Choli that will create a different look. 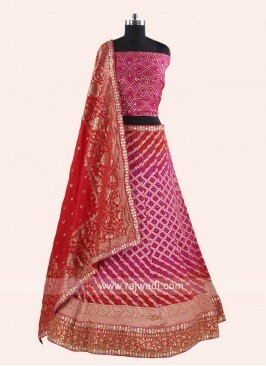 Dupatta in contrast Pista Green Banarasi Silk fabric. 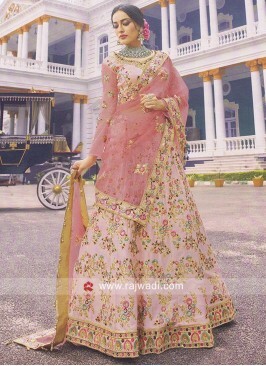 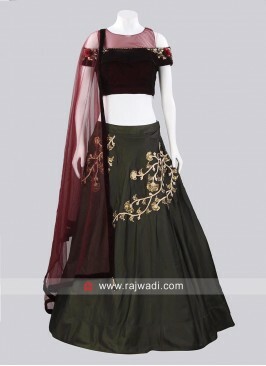 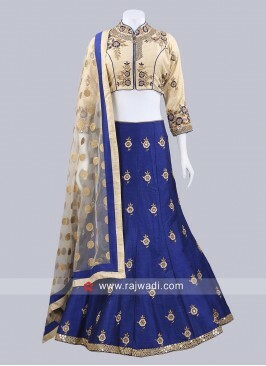 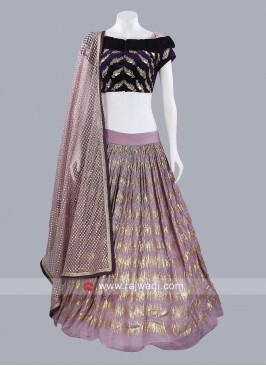 Wedding Raw Silk Choli Su..